Doug Casebeer and Eddie Dominguez first met as grad students at Alfred University in the early 1980s. At first glance, their work might appear to not have much in common. Eddie is a sculptor, working in a painterly way with bright colors and low fire bodies, and Doug throws pots, and fires his work in high-fire atmospheric kilns. Doug and Eddie have remained friends since their Alfred days, and have continued a dialogue about their lives and their work. Over time, dialogue has expanded into hands-on collaboration, where they have created several bodies of work together, that then continues to influence and inspire their individual studio practice. Collaboration as Inspiration features Doug and Eddie’s most recent studio interaction. Doug Casebeer is the Artistic Director for Ceramics and Sculpture at the Anderson Ranch Arts Center in Snowmass Village, Colorado. He is in his 34th year of running workshops and residencies at the Ranch. He received his MFA in ceramics from Alfred University and his BFA from Wichita State University. Doug teaches, lectures, builds kilns and exhibits his artwork worldwide. He has served as pottery consultant to the United Nations and the German government. This year, Doug is also the Artist in Residence for the School of Visual Arts at the University of Oklahoma. He is also building a studio at his home in Carbondale, Colorado. Eddie Dominguez, born in Tucumcari, New Mexico, is one of the leaders in contemporary ceramic and multimedia art in the country today. 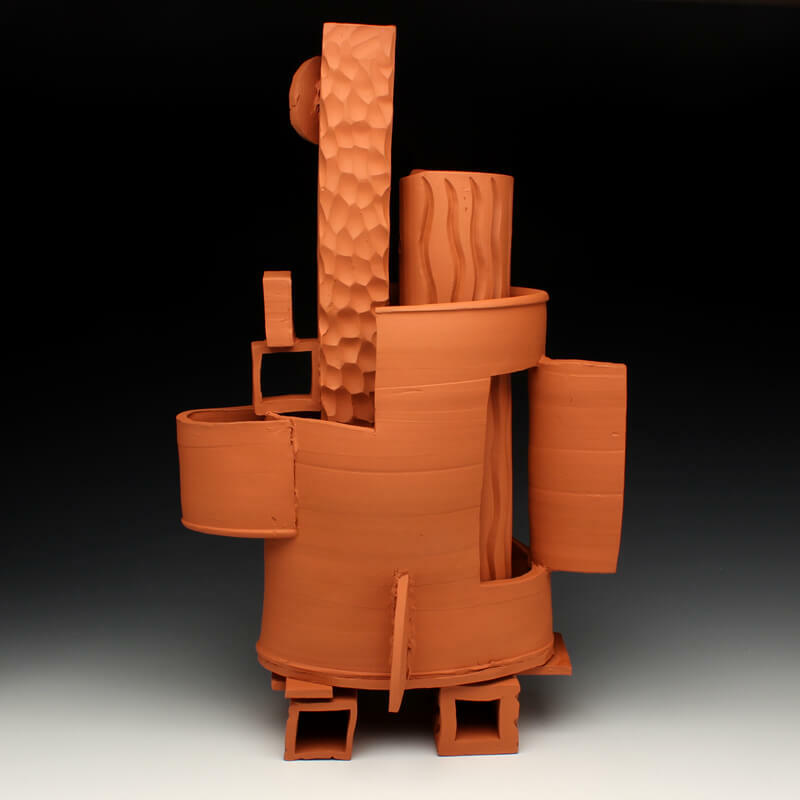 After receiving his bachelor of fine arts degree from Cleveland Art Institute in 1981, Dominguez continued his education at New York State College of Ceramics at Alfred University in New York, completing his master’s degree in fine arts in 1983. Dominguez was the recipient of two National Endowment for the Arts grants; several artists-in-residencies, including the University of Montana in Missoula and the Cleveland Institute of Art; and numerous scholarships. He is currently a professor of ceramics at the University of Nebraska-Lincoln.